Applications are invited for research on any topic falling within the research interests of the staff at the Unit. Visit the research pages to find out more. For PhDs you need to select ‘PhD in Medical Sciences (MRC Cognition and Brain Sciences Unit)’. For MPhils this is ‘MPhil in Medical Sciences (MRC Cognition and Brain Sciences Unit)’. An online application costs £60, set by the University. All applications must be submitted via the University of Cambridge, and you should do this via the Graduate School. The Graduate School website has information on courses, qualifications and the new online application procedure and you should use this site to ensure you are applying for the correct programme and have the appropriate pre-requisites. A new fully online admissions procedure is currently being implemented, and all applications should be made (and paid for) online. The University charges an application fee of £60 per application submitted, and this will also need to be paid online, by credit card. If you would like to make contact with a possible supervisor here before applying please feel free to do so, most welcome informal approaches from potential students and will be happy to discuss current research and possible future projects. Contact details can be found on the Research or People pages or method on this website. Please note that there is no separate form or method for applying to this Unit specifically, nor for applying for MRC studentship funding. In your application you should name the MRC Cognition & Brain Sciences Unit as the department you wish to be considered by, and the University Board of Graduate Studies will forward your application to us. Once you have submitted your initial application, please ensure you upload all your supporting information by the required date or your application will be automatically expired. We ask all applicants to provide a 1-2 page research proposal detailing the topic they would like to cover in their PhD, plus a CV and two references, all to be supplied electronically via the University application system. Do not send items directly to the Unit by post or email, they cannot be accepted directly. Full details of the application process are given on the Graduate School website. We prefer all CBU students to begin their course in October as we run various induction events and graduate training seminars for the first years students, beginning at the start of the university term in October. Occasional deferrals and later starts are permitted but this is only available after discussion with the Unit and should not be expected. If you need any further information please contact us at grad-admin @ mrc-cbu.cam.ac.uk (without the spaces). You must achieve the minimum requirements in the same test and this must be no more than two years before the start of the course. The minimum entry requirements given above are set by the University, not the CBU, and are non-negotiable. For more details of the University’s entrance requirements see here. Please note that although occasionally we have taken students for the one year MPhil (by research, not taught), we do not normally do so, mainly due to our limited capacity for taking students. If you do wish to discuss this option please contact your potential supervisor directly or email us at the above address before you submit an application (this could save you a wasted application and fee). The online course code for MPhil study is NUAPM1. We do occasionally accept applicants for part-time MPhils (2 years) and part-time PhDs (5 years), but full-time places will generally be allocated as a priority to ensure we maximise our limited spaces. Again, please discuss this with your potential supervisors before applying as not all will be keen to take this on. Students at the CBU are registered as PhD candidates at the University of Cambridge and are required to fulfil the admissions requirements of the University. (These can be found in the University Prospectus). General enquiries about awards to overseas students, fees etc can be made to the Board of Graduate Studies. Initial registration is for a ‘Not at first registered probationary PhD’, and students are only fully registered for their PhD on satisfactory completion of their first year of study. You become a member of the University of Cambridge Graduate School of Life Sciences which oversees the progress of your research and offers additional facilities and courses. While carrying out your research you are able to enjoy all the advantages of the University facilities and the collegiate system. 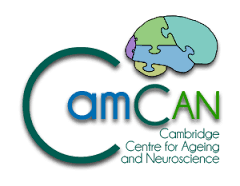 There are substantial contacts with other experimental, clinical and neuroscience groups in the University of Cambridge, including the Departments of Psychology, Neurology, and Psychiatry, and the Wolfson Brain Imaging Centre (WBIC) at Addenbrooke’s Hospital. For eligible applicants, several MRC funded studentships are available (see MRC eligibility details), which pay all university and college fees, and a small but liveable stipend. From October 2015 all MRC funded studentships will run for four years, other scholarships may vary in duration. To find out how we run our studentships once you have arrived, go here.